(1906 – 66) B/W postcard signed and dedicated by Farina, Indianapolis 1956. 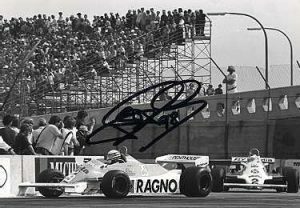 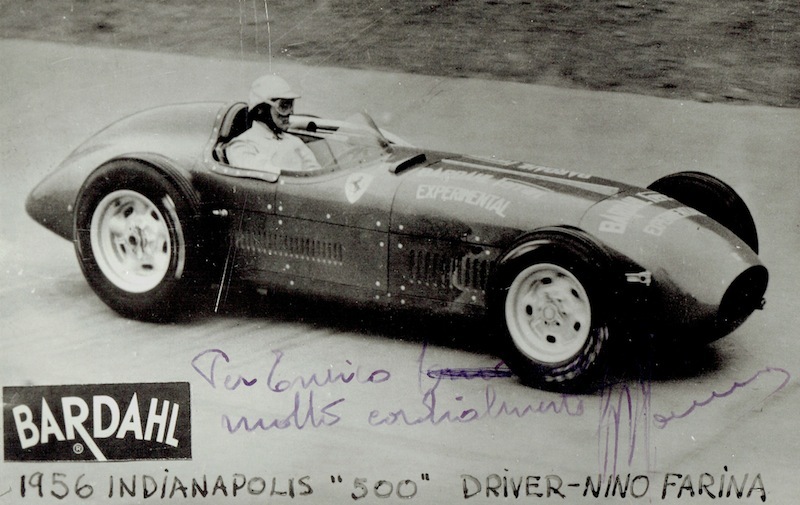 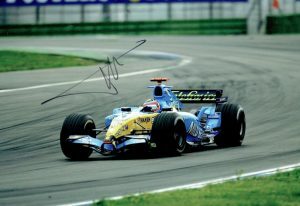 Farina failed to participate in the race when he never had a chance to qualify his Bardahl-Ferrari. 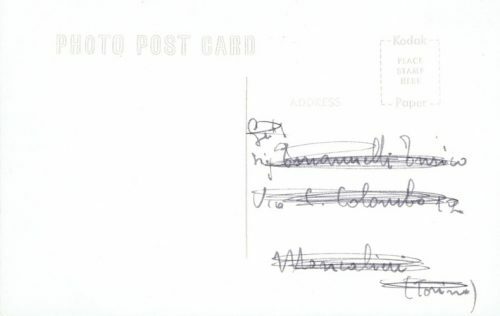 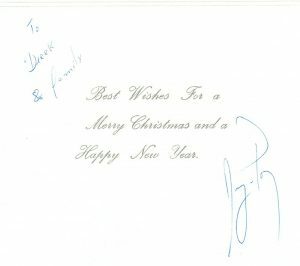 The postcard reverse has an address written in his hand writing, crossed out.